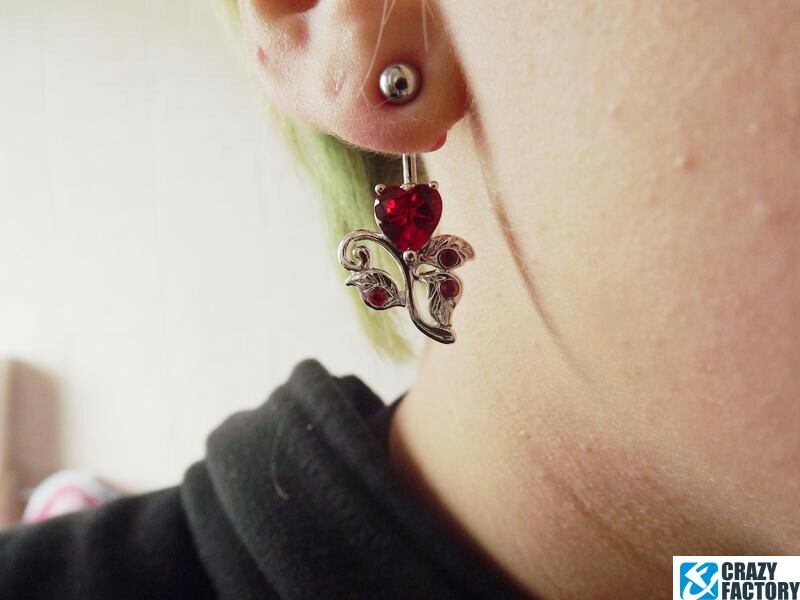 Bananabell featuring an intricate design of ornamental leaves, a large claw-set heart and three small sparkling crystals. 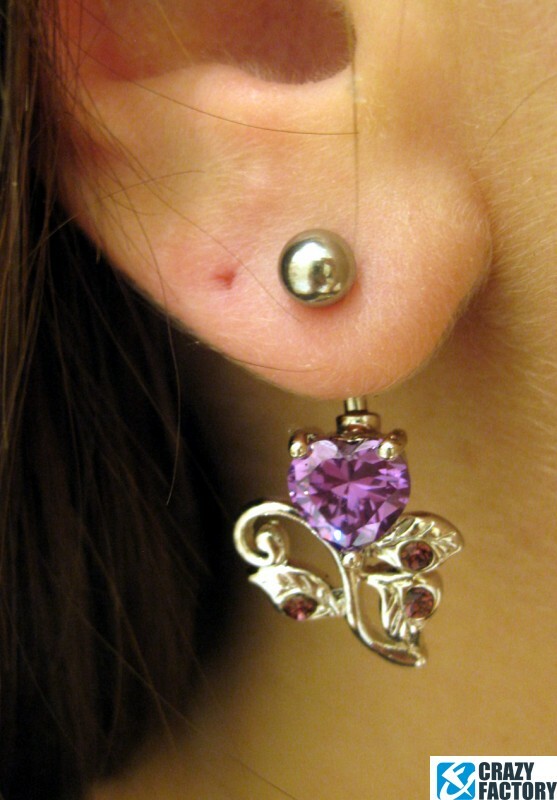 Available in several gorgeous colors. 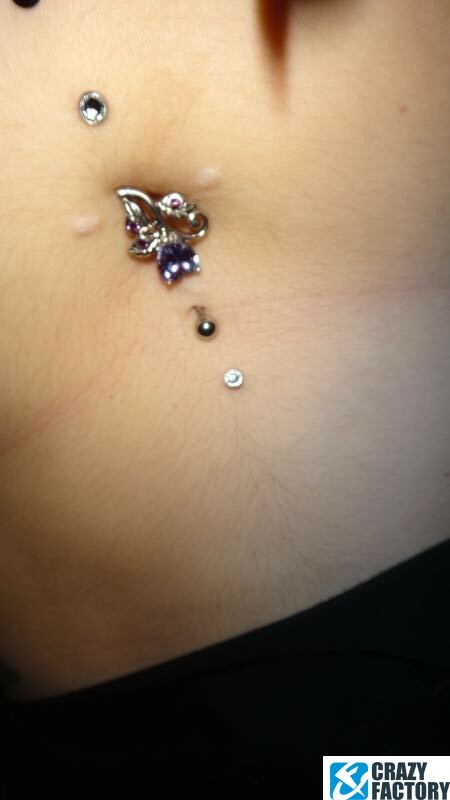 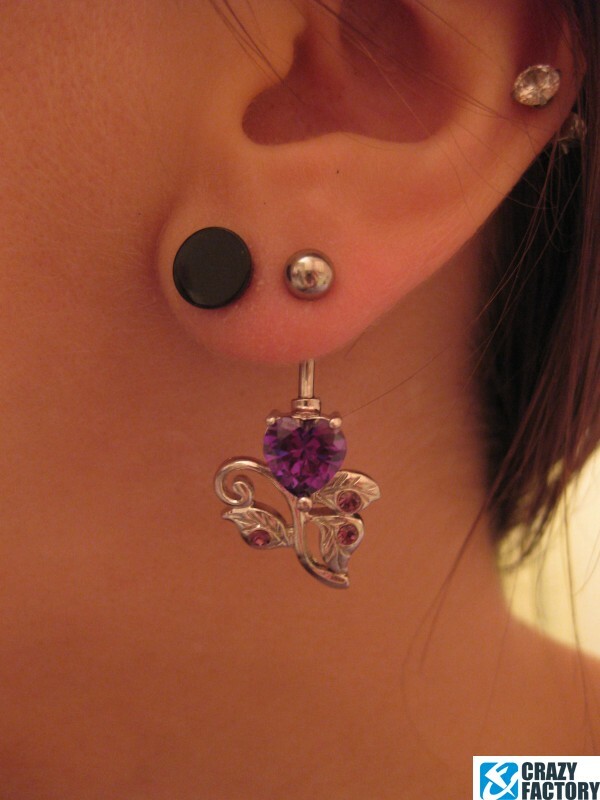 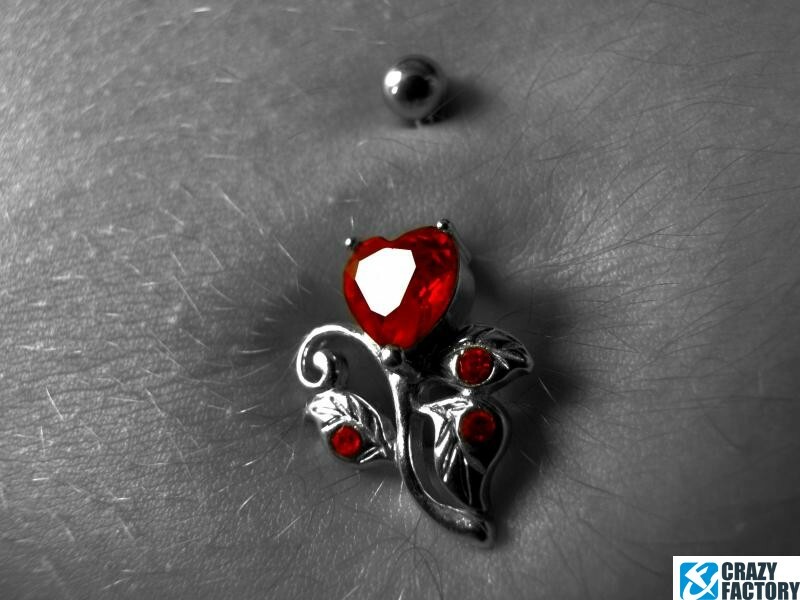 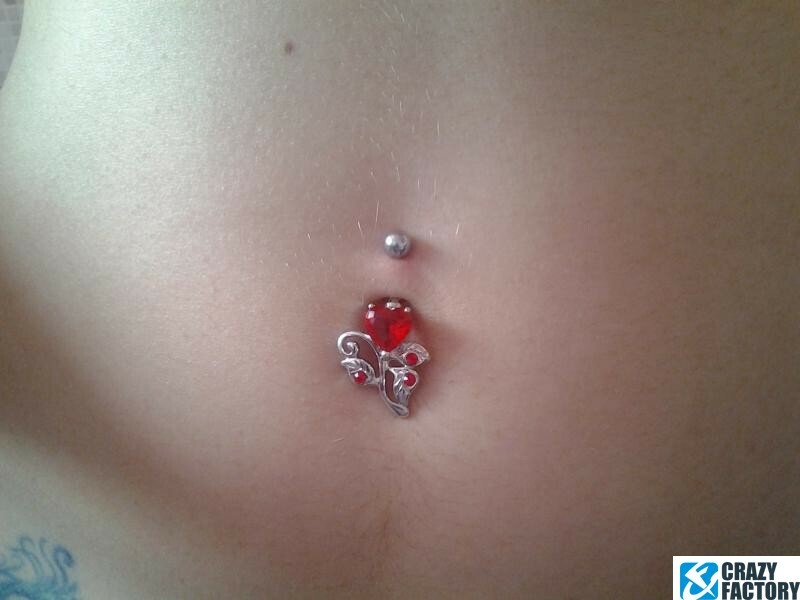 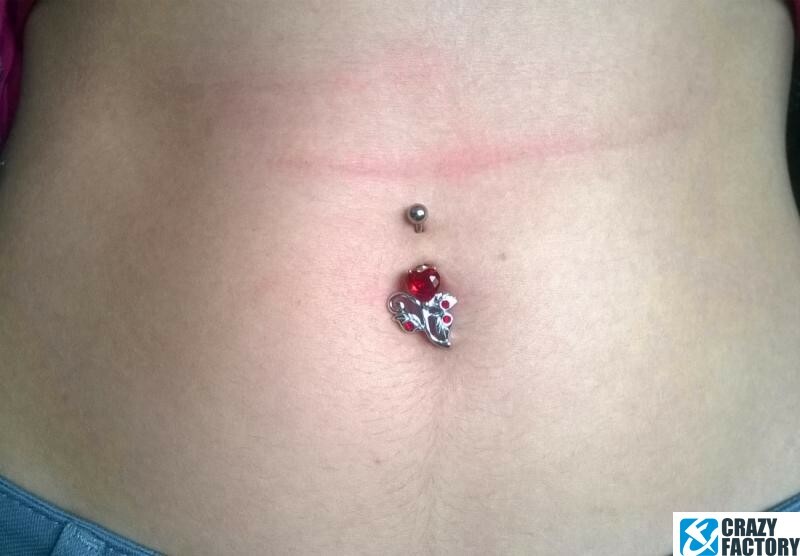 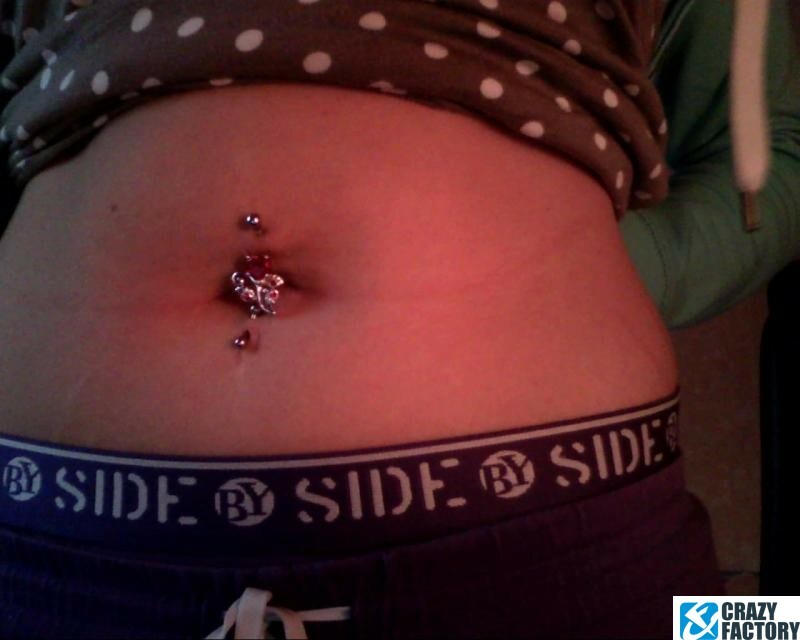 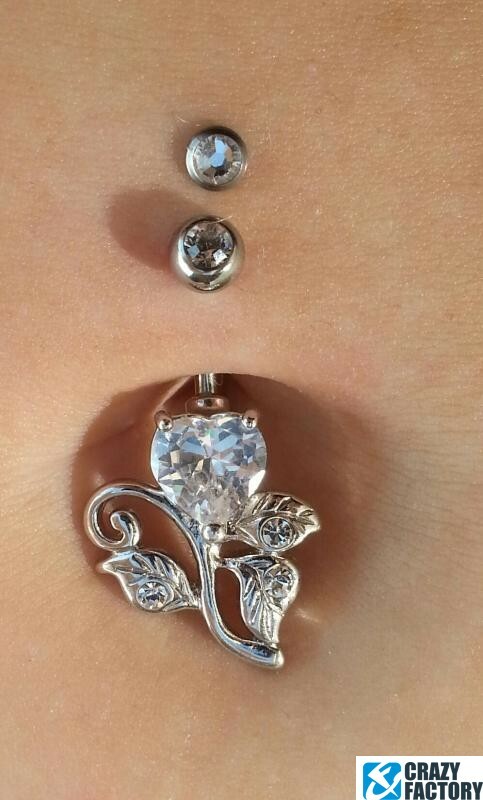 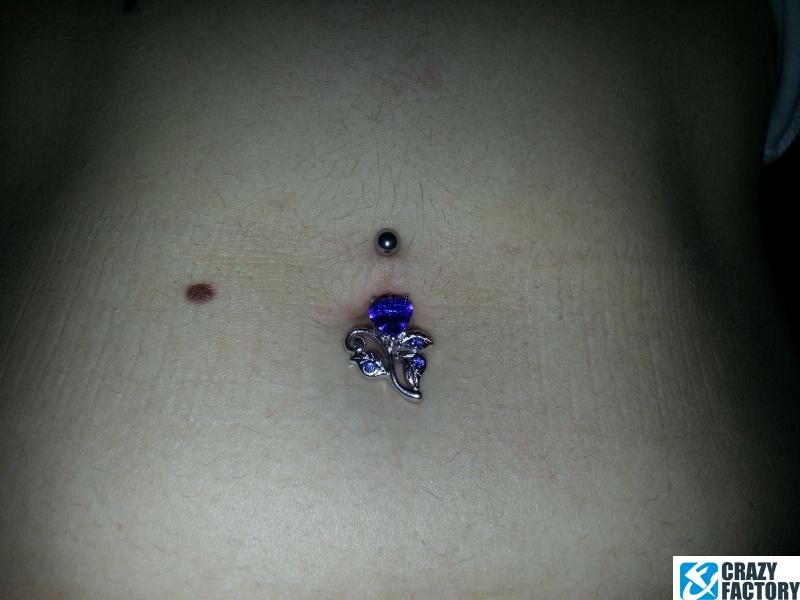 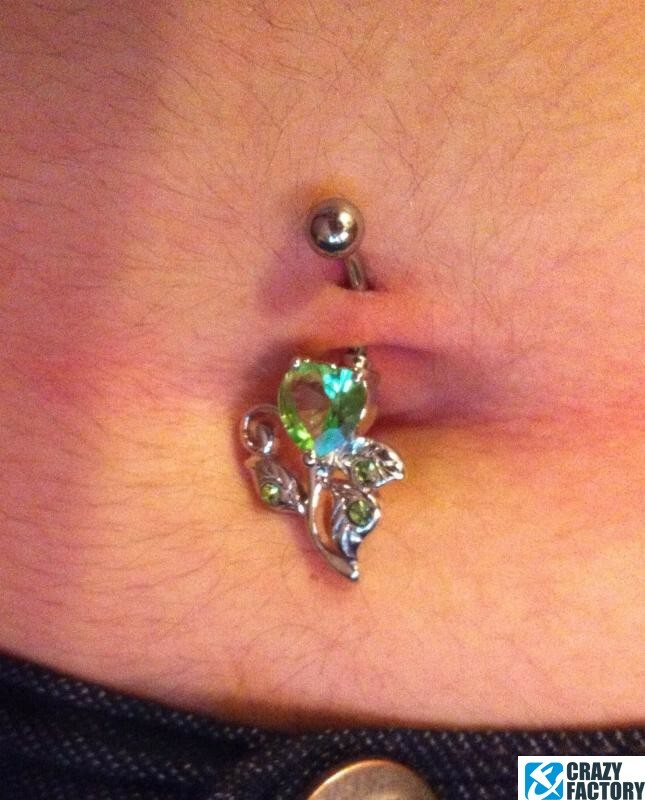 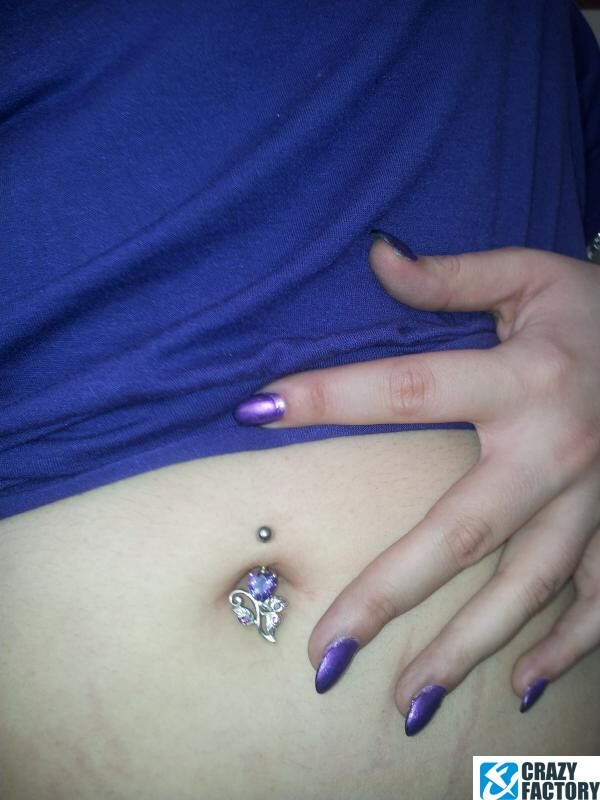 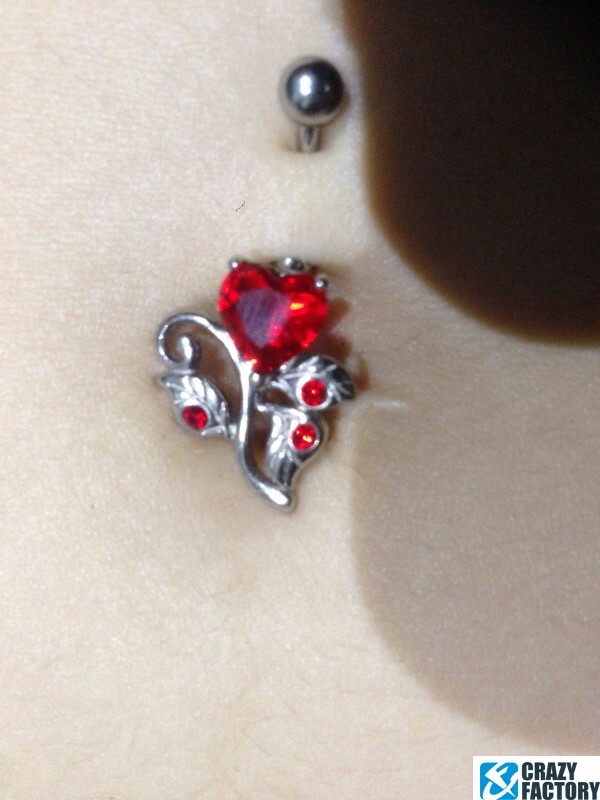 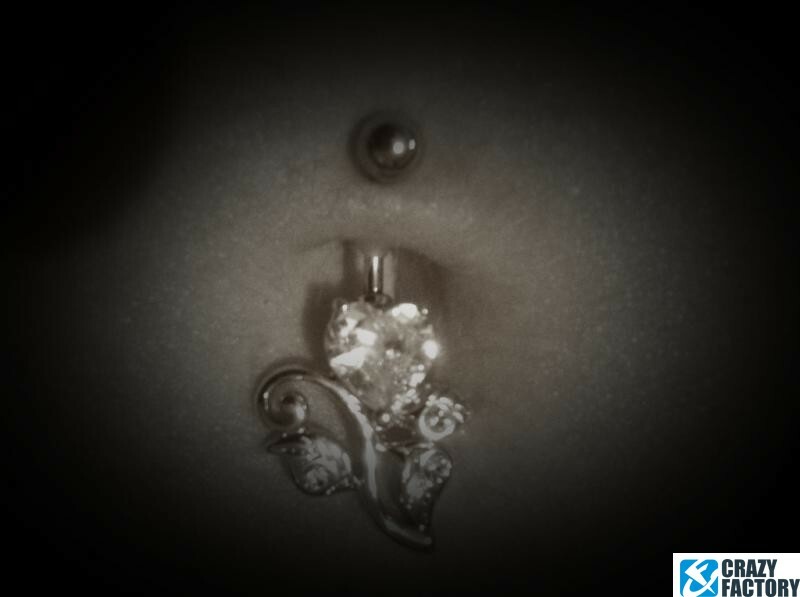 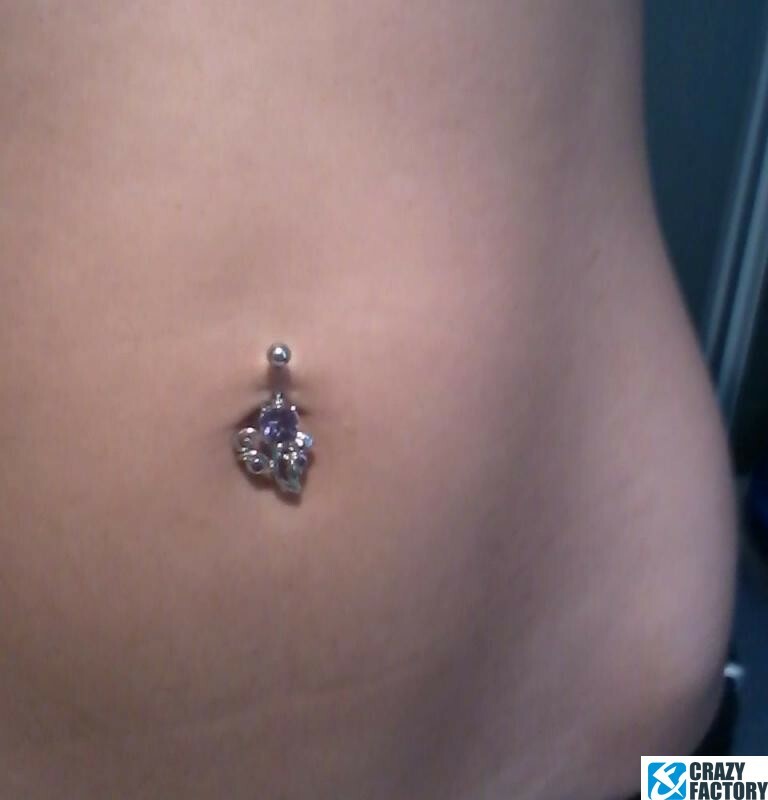 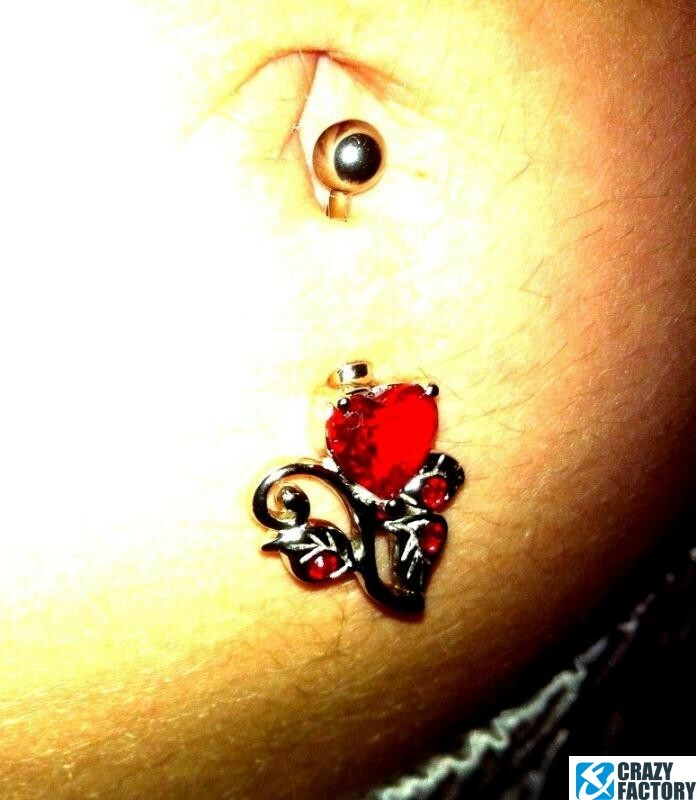 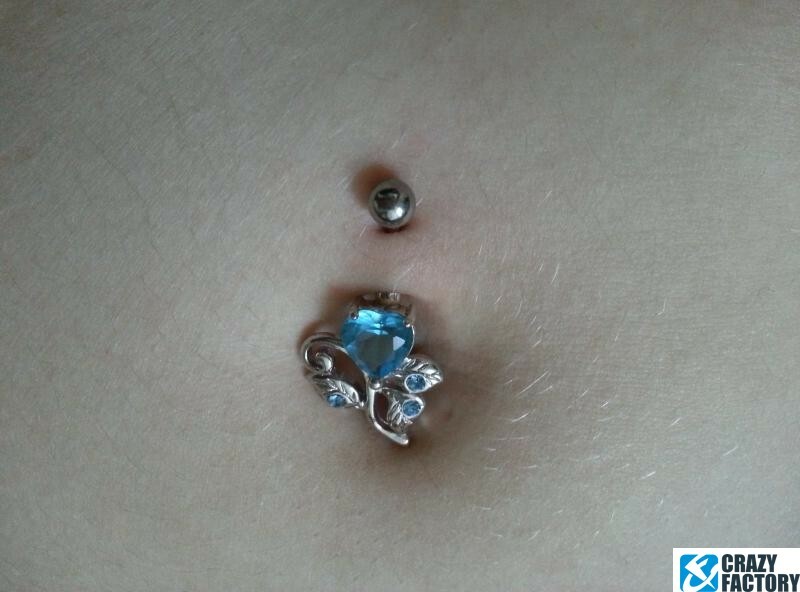 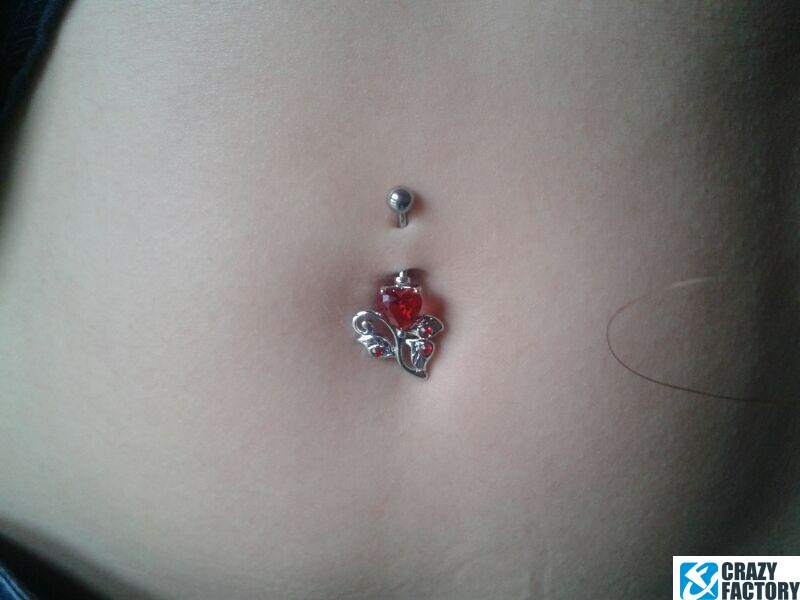 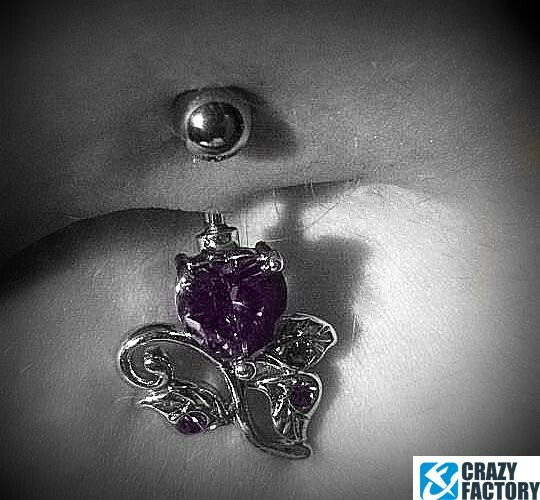 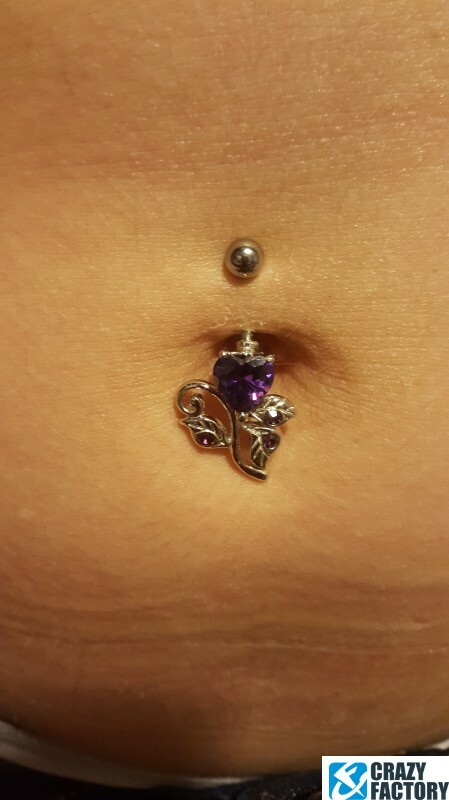 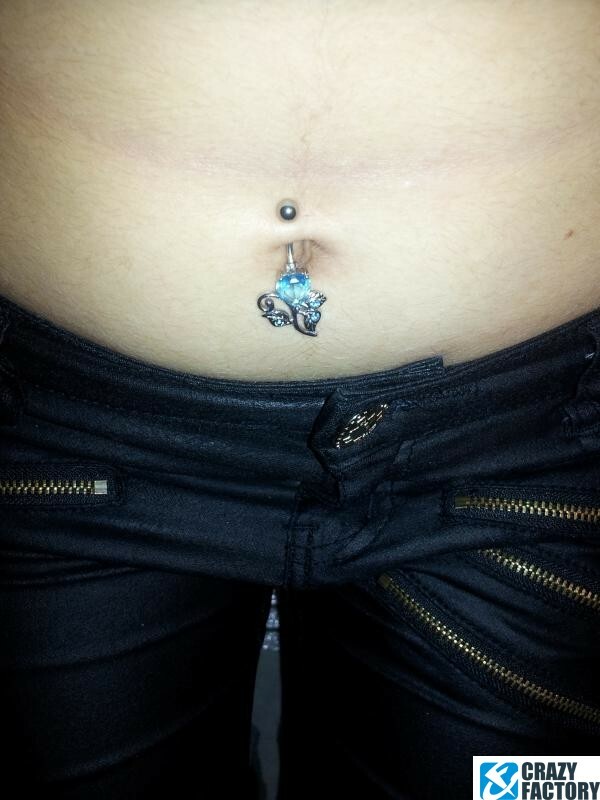 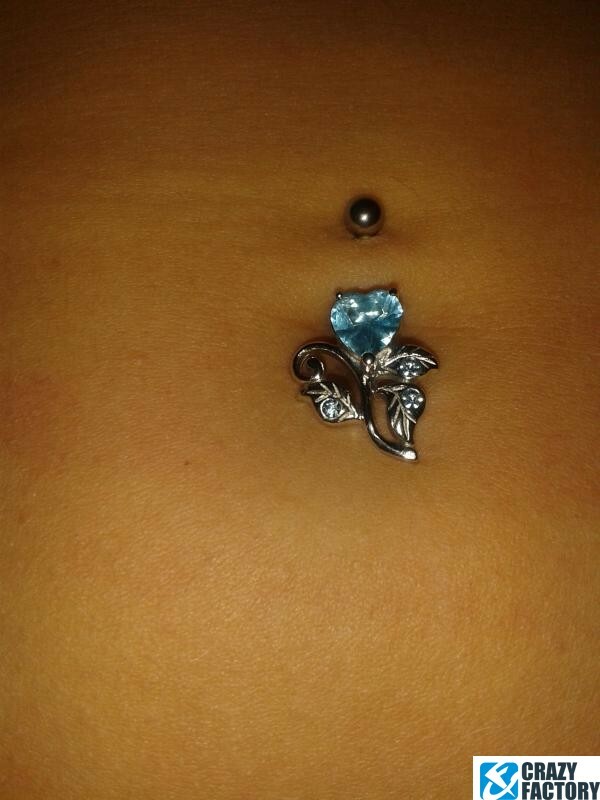 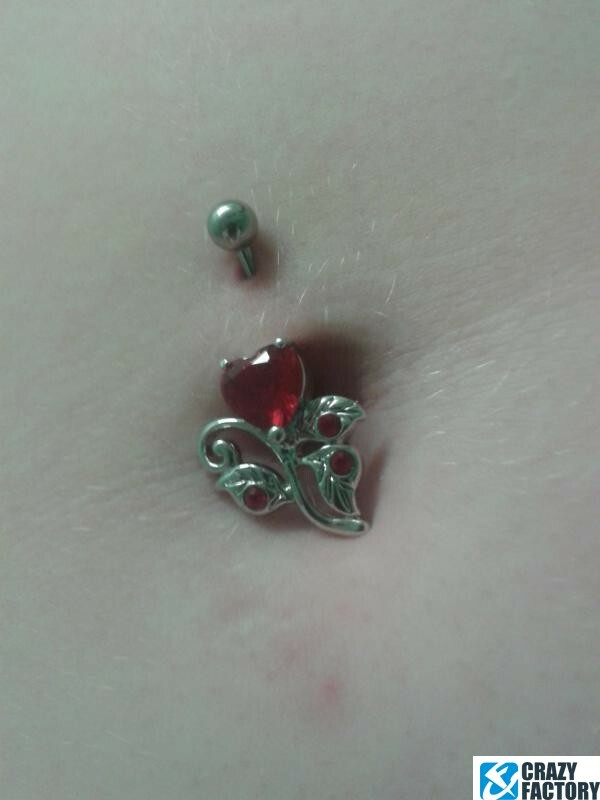 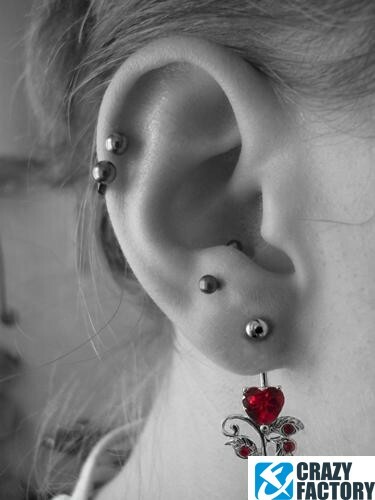 Super cute and elegant for your belly button piercing.